What Is Almond Milk Made Of Anyway? I know you have seen the rows of dairy free milks in the grocery store these days. Hard to avoid. Almond milk, soy milk, rice milk, flax milk…flax milk? …really?…ok. Anyway, there are a lot of “milks” out there and I’m curious. Let’s start with a popular one, almond milk. What is almond milk made of? Should I be drinking it? Is it a good alternative to cow’s milk? Let’s find out. What Is Almond Milk Made Of? I wanna know who is out there milking almonds? Seriously. Well, I know almond “milk” isn’t really “milked” from almonds. I keep adding the quotation marks around milk because can we really consider this drink milk? Does milk have to come from a cow to be real milk? But what about goats milk and other animals and their milks? I heard a while back that folks in the dairy world (cow’s milk) where upset that all of these other drinks are allowed to call themselves “milk” (last time I’m gonna do that, promise). That they are arguing that milk only comes from cows and that all these other competitors should be changing the names of their products. That is, almond or soy milk could no longer be called milk. Instead, they would have to come up with their own name. Perhaps almond juice? No, I’m sure the folks at Simply Orange wouldn’t allow that. “Almond Drink”? Not that catchy, but maybe a little more accurate. Regardless, for now we have the option to buy really any type of milk we want. I’ve been a cow’s milk guy forever. Back in my day, the only choice we had in milk was 2%, 1%, or skim. A couple of years ago, we found out my son was allergic to dairy, along with several other things. We had to find an alternative for him. 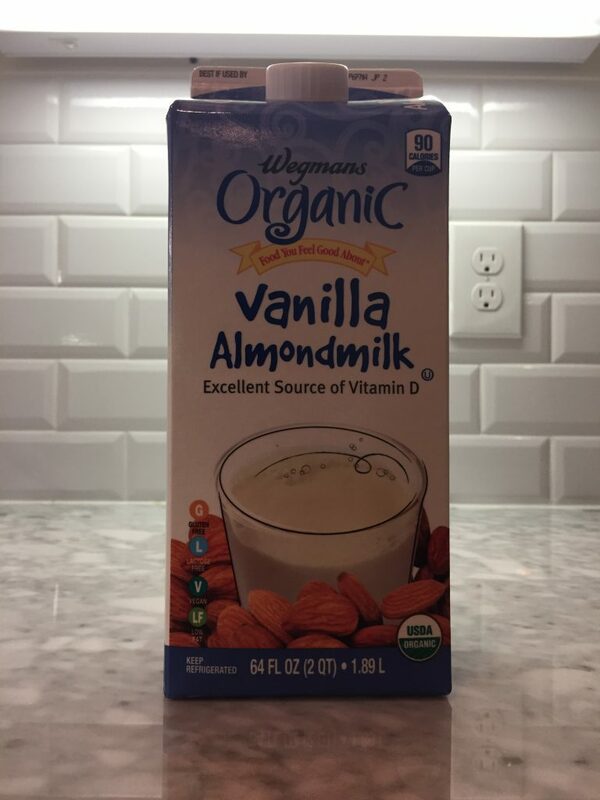 We started with soy, but after hearing a few rumors that too much soy can throw off your estrogen levels (more on this topic in a later post) we decided to try almond milk. My son (and daughter now) love the taste of almond milk. I’ll admit, it does taste good in small quantities. Especially the vanilla almond milk. Very sweet. Kinda like drinking a milk shake (remember, I’m a skim milk guy). But the kids enjoy it. Like any loving father, I want to make sure what I’m feeding my kids is healthy though. When you look at the ingredients on the back of your almond milk box, it looks fairly simple. Looks like it’s basically almond flavored water with some “stuff” added for consistency. We always get the organic almond milk from our grocery stores, organic is always good I guess. We usually get the Kroger brand or Wegmans brand, both taste good, both organic. Sunflower lecithin– lecithin is a type of fat found in different foods; apparently it is used in several different types of medications as well as taken as a supplement for it’s health benefits. In food, it is added to improve creamy texture, help bind the ingredients. Here’s more info from WebMD. So there we have it. Put all the above ingredients together and you have almond milk (sweetened). When I read this list, I see almond flavored sugar water, with a bunch of additives to try and give it the texture of real milk. Ah, this is where things get interesting. We took a quick look at the ingredients above. Fairly long list. I know right off the bat the group of readers out there that are into whole foods and minimizing processed foods are not going to like this. 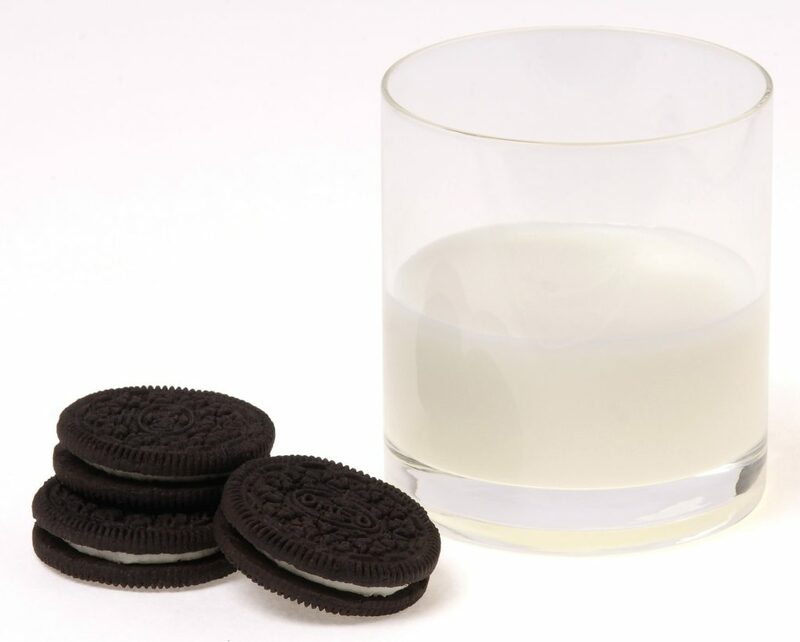 There are 3 different food additives listed above just to create the texture of creamy milk. I get it. I really do. I agree that it is a good idea to limit processed foods as much as possible because these chemicals that are added to our processed foods are usually substances that aren’t found in our food naturally. Consuming substances our bodies aren’t designed to be consuming can have less than favorable results. So, processed food is bad, and almond milk is definitely a processed food. However, there are only 90 calories in a cup of sweetened vanilla almond milk. That goes down to 40 calories for a cup of unsweetened almond milk. Compare that to 124 calories in a cup of 2% cow’s milk. Let’s talk fat. Only 2.5g of total fat in almond milk vs 4.9g of fat in 2% milk. Almond milk also provides 30% of your recommended daily intake (RDI) of calcium, which is about the same as that provided by 2% milk (29%). 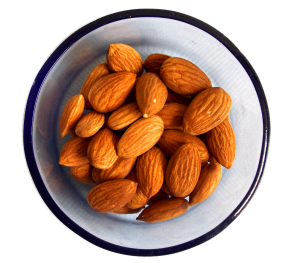 Almond milk also provides about a 1g of fiber per cup, a little added bonus that the almond provides us. Dairy is fiber free. One thing almond milk is lacking in is protein. Only 1g of protein per cup of almond milk compared to 8g protein per cup of cow’s milk. So, almond milk is low in calories, low in fat, and offers a good source of several vitamins. But is it healthy? I think healthy is a subjective term and means something different to everyone. Based on the stats above, I would argue that almond milk IS a fairly healthy substitute for cow’s milk. It offers a lot of legitimate nutrition. The only problem I can see folks having with it is the fact that it is highly processed and has several food additives in it’s ingredient list. That said, I couldn’t find any real evidence suggesting that these specific food additives had any direct negative effects on humans when consumed in small quantities. Actually, in the case of lecithin, it’s considered to be beneficial to us. A lot of the “gums” used to thicken foods come from plants and contain fiber, which can be good for us as well. I know that in general food additives should be avoided, because they aren’t natural to the food we are eating. But I don’t think all additives where created equal. These additives, in the scope of food additives, seem pretty mild. Should I Be Drinking Almond Milk? I mentioned earlier in the post that I grew up drinking and eating cow’s milk. Up until about a month ago, that was true. I recently switched over to almond milk after watching a documentary on the vegan diet. A lot of it had to do with how corrupt the dairy business is and how disgusting the production lines are. But, I have never had any adverse responses to drinking cow’s milk (that I’m aware of). I’m not allergic to dairy. I’m not lactose intolerant. If I had not watched this movie, I would still be putting skim milk in my cereal. So, do I think almond milk is healthier than cow’s milk. Not really. There’s some debate out there on the saturated fats and what not in dairy and how bad they can be for us. But I was drinking skim milk where all that fat is removed anyway. I think almond milk is a good substitute for cow’s milk if, for one reason or another, you are unable to use cow’s milk. Due to an allergy or choice. I personally think almond milk tastes better than soy. My only real problem with almond milk is the consistency. It feels too thick to me. You can tell they were trying to mimic the consistency of real milk. I think they tried too hard. I would rather have the consistency a little thinner. The thickness and consistency of almond milk feels fake to me. The flavor is pretty good, but the consistency…ugh. I’ve gotten used to it. It’s ok with cereal. But I tell ya, almond milk does not cut it when it comes to oreos or chocolate chip cookies. Not even close! Same thing with oatmeal. I like to make my oatmeal with milk, and almond milk isn’t quite the same. I snuck a little cow’s milk in the house last week to make some cornbread…I used the rest of it in my cereal and oatmeal…I didn’t want to waste it! (don’t tell my wife, she’s 100% on the almond milk wagon). If you aren’t allergic to dairy and are consuming dairy in moderate quantities as part of your healthy diet, I see no reason to run out and switch to almond milk. I hope you found my thoughts on almond milk educational and entertaining. I think almond milk is pretty healthy, but I wanna hear from the readers who disagree. Why do you think almond milk is unhealthy? If not almond milk, what dairy alternative do you prefer. Leave a comment and I’ll get back to you soon. I have two people in my house who cannot dring cow’s milk. We have tired almonds milk and the kids loved it. I still havent tried it yet, but the kids love it. I also apprecatie the fact that almond milk is low in calories, low in fat, and provides a good source of several vitamins that the kiddies needs daily. Thanks for sharing. Yea my kids love it too, thanks Kay. Its so funny that I actually see this fruit around and do not know it is the almond fruit. I will get my own pack of almond milk and give it a try. yeah, it would be interesting to see how you like it.